"Whenever anybody has asked me how Malala became who she is, I have often used the phrase. `Ask me not what I did but what I did not do. I did not clip her wings'"
"Let Her Fly is Ziauddin’s account of his life and his fight for the rights of all children to receive equal education, opportunities and social and political recognition"
Ziauddin Yousafzai is the father of Malala, the global activist and winner of the Nobel Peace Prize. 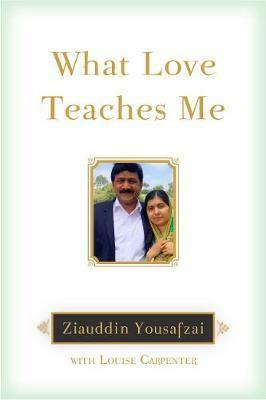 In his own right, Ziauddin is an education activist, human rights campaigner and teacher. He hails from Pakistan's Swat Valley where, at great personal risk among grave political violence, he peacefully resisted the Taliban's efforts to shut down schools and limit their personal freedom. Ziauddin is co-founder of Malala Fund and is building a global movement for girls' education. Louise Carpenter is a British writer, working primarily for The Saturday Times Magazine. Her work has also been published in many other publications including Granta, The Guardian, The Daily Telegraph and Vogue and has been syndicated worldwide. She is the author of two non-fiction books, An Unlikely Countess: Lily Budge and the 13th Earl of Galloway and Ida and Louise. She lives in Somerset with her family.